We have created four personalities with distinctive and diverse characters, fashion preferences and styles. They have each been given a shop that matches their character where we have developed the shop concept and the lighting for each one. 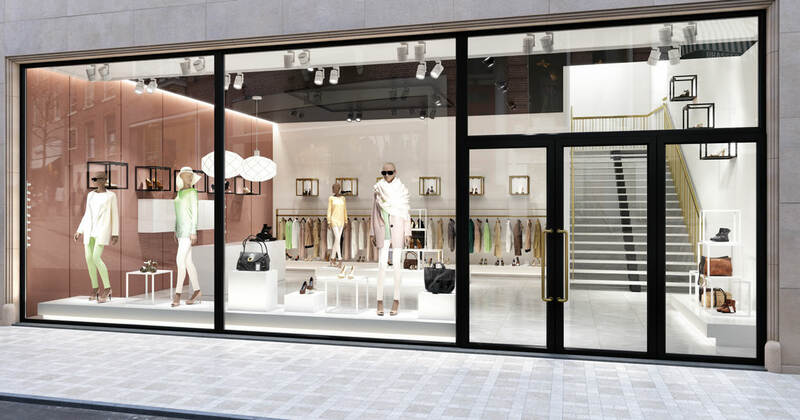 Scroll and find out how lighting can enhance a shop’s brand personality. The Fashionable is a person who knows what they want, and want the best and the latest. They are prepared to pay for the right fashion items, and it really has to be right. Following the latest trends in magazines and blogs is crucial. Perhaps they are bloggers themselves. They want their outfit to make a statement and are aware what statement different brands make. <strong>Fashion Bloggers<br /> </strong></p> <p>In the early 2000 fashion blogs started to appear online. They have become so powerful that they even affect retailers, collections and the fashion industry at large. The power they have on consumers is pivotal spreading their message not only on blogs but constantly over social media platforms. <strong>Womenomics</strong></p> <p>85 % of all brand purchases within fashion are made by women. Investing in women as a consumer base in emerging markets is crucial. 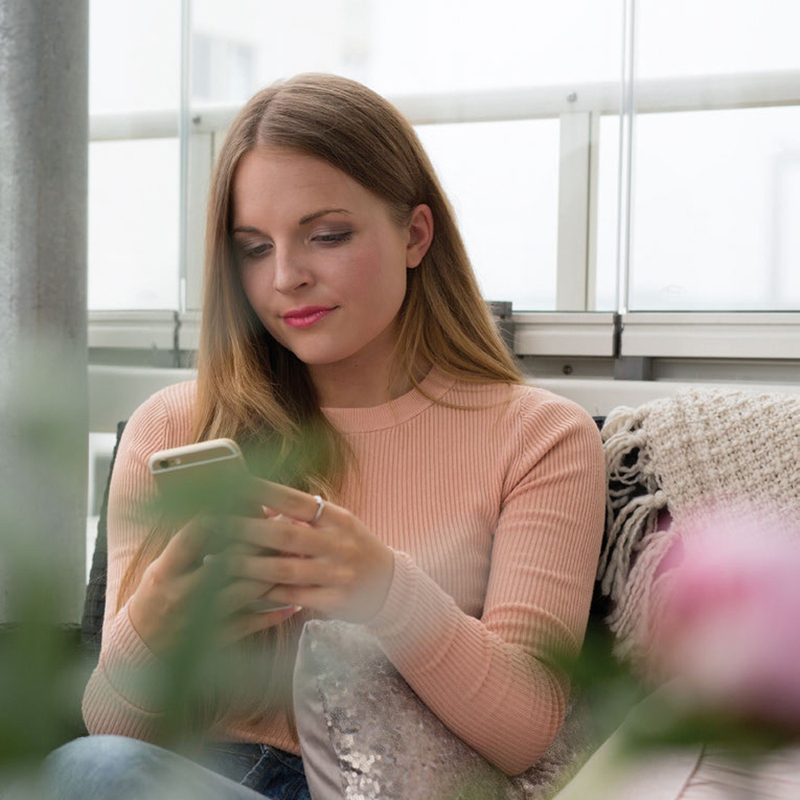 <strong>Boutiqify</strong></p> <p>Online shopping has forced retailers to use every tool to reconnect with shoppers. The feeling of a high-end boutique promises intimacy, personality and individuality – characteristics that are often lacking in the multinational chains. Online shopping has forced retailers to use every tool to reconnect with shoppers. The feeling of a high-end boutique promises intimacy, personality and individuality – characteristics that are often lacking in the multinational chains. In the early 2000 fashion bloggers started to appear online. They have become so powerful that they even affect retailers, collections and the fashion industry at large. the power they have on consumers is pivotal spreading their message not only on blogs but constantly over social media platforms. 85 % of all branch purchases within fashion are made by women, investing in women as a consumer base in emerging markets is crucial. 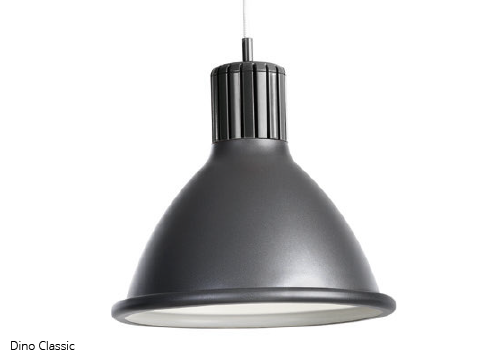 A soft and dynamic light with cylindrical spotlights with a clean design creates a trendy yet sophisticated concept. The walls are illuminated with a narrow beam spotlight to create attention, as does the soft pink colour of the walls. Details in brass like shelves and banister add to the fashionable feeling. The merchandise in the window needs to be displayed in a way that creates interest and gets the attention of people passing by. 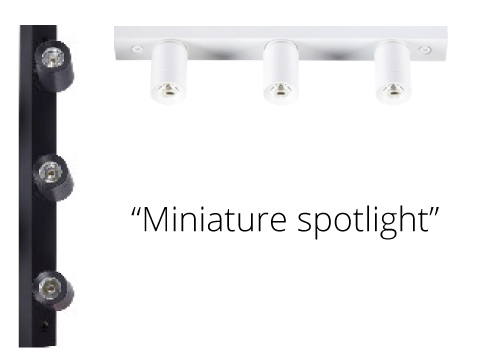 <strong>Illuminate details</strong></p> <p>Use narrow beam spotlights on details to make them stand out. <strong>Aiming</strong></p> <p>Aim the light on the side of the mannequin’s face to make it feel alive. <strong>Mannequins</strong></p> <p>Two luminaries per mannequin will give the best light, provided the distance between the track and mannequin is correct. <strong>Lighting Tracks<br /> </strong></p> <p>Use two tracks, one in front of the mannequins and one behind, to create depth in the window. The shop window is a great way to market your shop and what is on display is crucial, as well as the way it is displayed. For example, there is great potential in changing light settings depending on the time of day and whether the shop is open or not. <strong>Highlight details</strong></p> <p>When the shop is closed, and the general lighting turned off, highlight details to create depth and interest. This is a place for the first impression. The entrance has to appeal to the customers and create interest to move further into the shop. 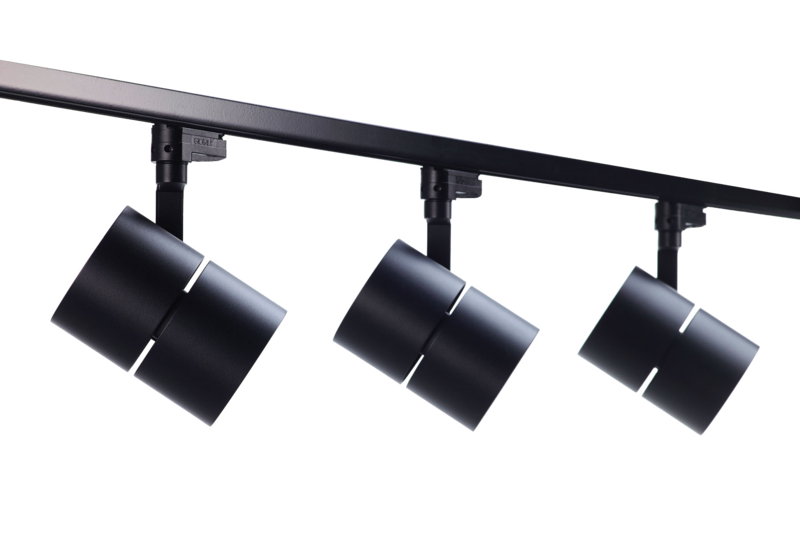 <strong>Contrasts</strong></p> <p>Consider contrasts, perhaps from a narrow beam spotlight, it will catch the customer’s eye. <strong>Place focus<br /> </strong></p> <p>Focus should be on the first tables a few meters inside the shop and on the walls. 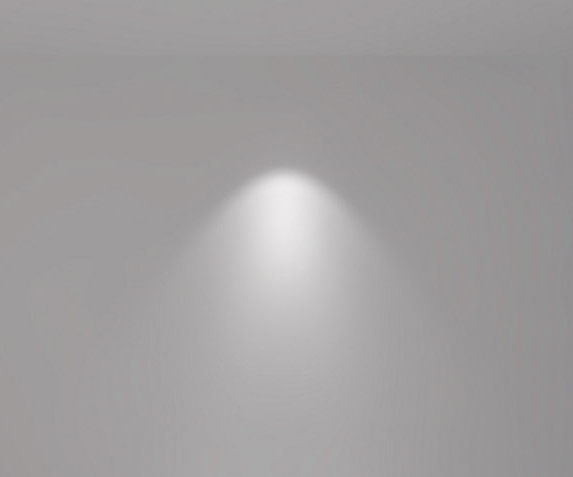 There are different techniques to create an interesting lighting design that will contribute to the branch profile, create attention and ultimately increase sales. 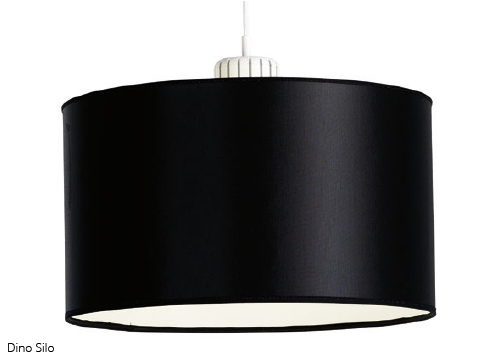 <strong>Decorative elements<br /> </strong></p> <p>Create atmosphere and increase the brand profile with decorative pendants. 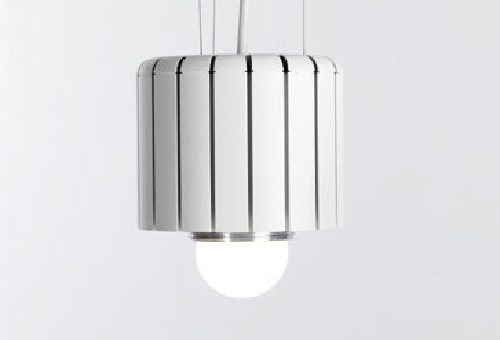 <strong>Cove light<br /> </strong></p> <p>Cove light is used to:</p> <p>Make the interior more defined and enhance the shape of the furniture.<br /> Create interest and spark curiosity.<br /> Achieve visual separation; create a contrast between the object and the backdrop.<br /> Increase the lines of the space and dimensions you are in. <strong>Colour temparature<br /> </strong></p> <p>Different colour temperatures are used to create an ambience in the shop and may also be used to change the ambience drawing attention to different areas within the shop. Some merchandise look well in a warmer light and some in a colder. 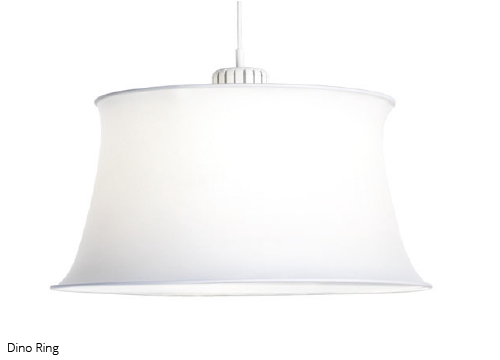 Also the colour temperature can be adjusted to the interior or merchandise. 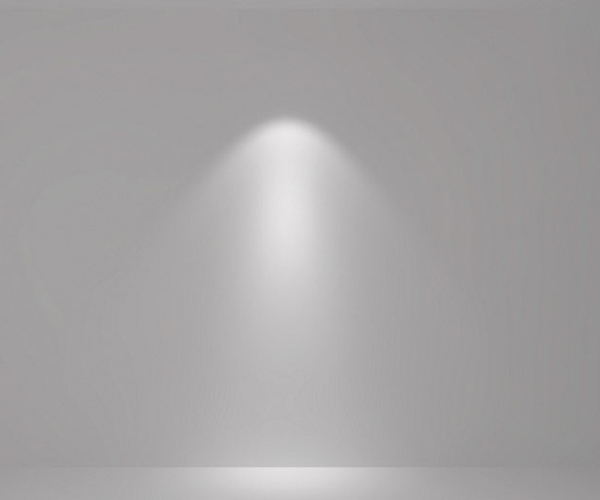 A wooden wall or gold jewellery can be illuminated with 2700 K but a marble desk or silver shoes will look better with 4000 K.
<strong>Controls<br /> </strong></p> <p>Use different pre-programmed scenes at night to create interest from people passing by. 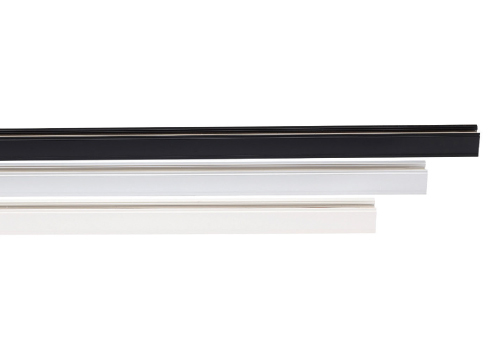 Or use daylight sensors to decrease the light levels during the day. The shop window is one of the most important areas for retailers. The merchandise in the window needs to be displayed in a way that creates interest and gets the attention of people passing by. whether the shop is open or not. To create even more interest it is possible to have a pre-set lighting program where lights can move, catching the eye of the passers-by. Light setting when the shop is open. Light setting when the shop is closed. To create a dynamic feeling there is a choice of dfferent beam angels. Spot is the narrow beam that will create great contrast. 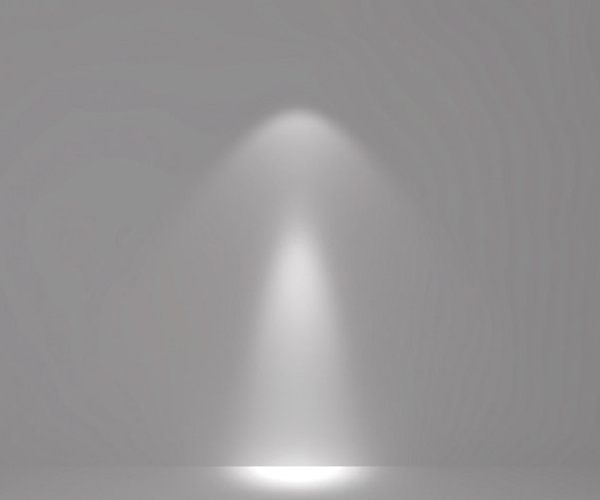 A narrow beam spotlight will be perceived as wider if it is a high ceiling height. 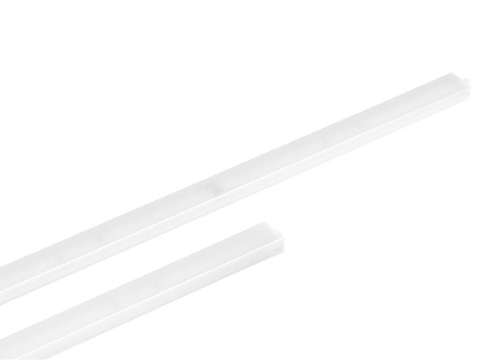 Luminaries with a medium beam angle are used to get a light that is less contrasting than a spot. 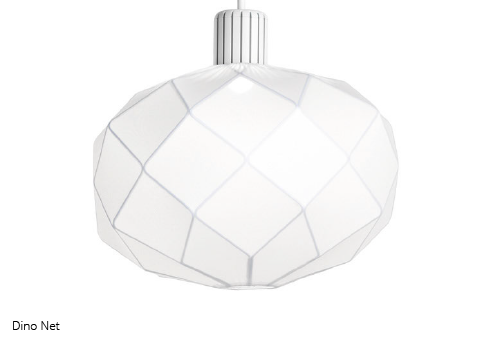 Also, it does not give the sharp edges of a spot, but more a smoother distribution of light. A flood will create a flatter, more extended light. 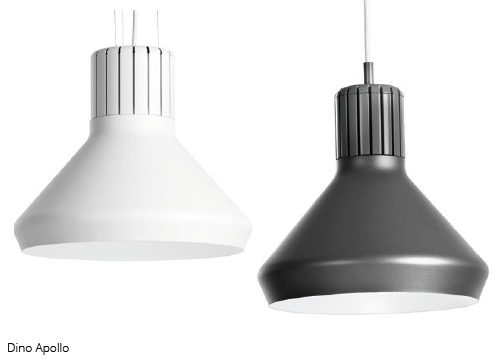 The spotlight Touch, with an integrated driver, was chosen because of its clean cylindrical design. This results in a track and ceiling without the disorder of drivers aimed in different directions. 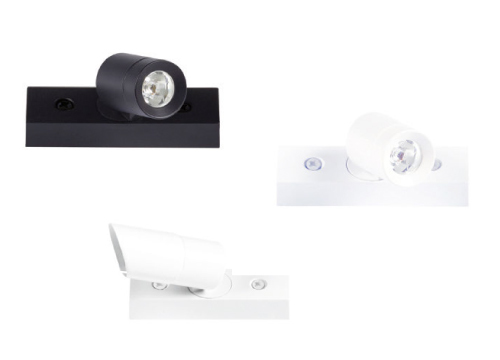 Also, Touch is part of a large family of both track mounted and recessed spotlights with a variety of lumen packages and colours and a great colour rendering. The perfect solution for the perfectionistic fashionista. 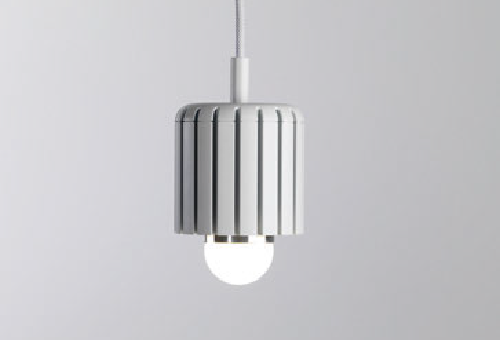 By combining different sizes, light outputs, colours and shades, the pendant Dino offers almost full freedom to get the light and expression you strive for, no matter what kind of project you are working on. Flexibility at its best! The pendant Dino Net will make a statement in the shop and draws attention to the cash-desk area. Dino Net is available in this smaller version and an even larger one. 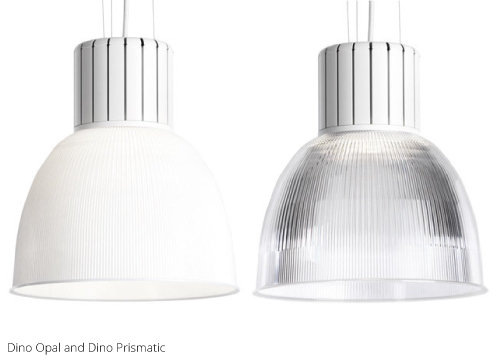 Dino is a large family of products based on the same light engine in two sizes, with a vast choice of shades, or why not design your own. Relay Spot G2 is a petit spotlight used to accentuate products close up that will really defne details. It will not take from the garments it is illuminating. Relay Spot G2 is also used in the shop window where it illuminates the mannequins vertically. Control Track is used to be able to control the lighting in an easy way. 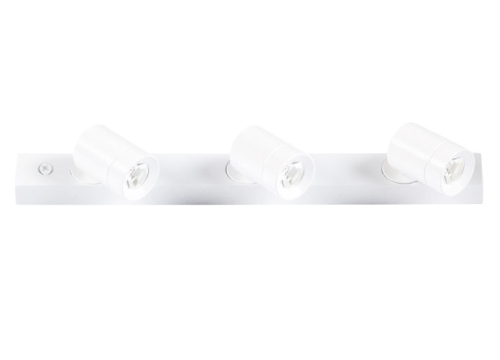 It is easy to install and compatible with all luminaires with a Euro standard adaptor. 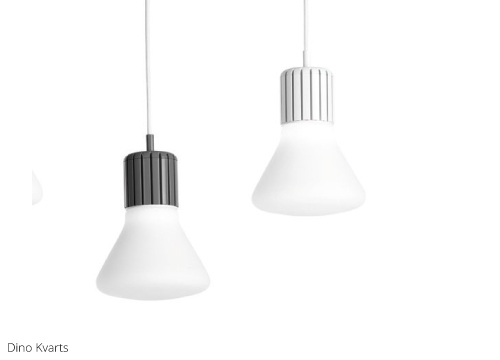 Using Lumiline as cove lighting will accentuate the shop interior as well as any architectural details. Integrating them in the podium makes the garments on the podium pop out and adds interest to the shop window.